Become an Online Millionaire: Will App SEO Replace Conventional Web SEO? Bet on it. Mobile Web Apps Poised to Start SEO Turf War? Just doing some research recently and saw the convergence of web apps, mobile traffic, and the resulting decline of desktops, laptops, and the "usual suspect" sites as we know them. This of course means that SEO will be turning a rather sharp corner - but then, they're used to it. (10.44%), though with only slight growth from the previous quarter. The report also shows that in Q1, tablet traffic converted at a slightly higher rate than traditional computers (2.6% and 2.5%, respectively), with smartphone conversion rates (0.8%) continuing to lag. Among tablets, the iPad continued to sport the highest conversion rate (2.7%), with Android (2%) also out ahead of the Kindle Fire (1.5%). The iPad also boasted the highest average order value ($99.05), though that figure has declined for several quarters, and is down from an average of $120.26 in Q1 2012. In terms of traffic share, the iPad dipped fractionally to 89.3%, continuing a gradual downward, while Android rose to 8.2% share of tablet traffic from just 4.8% a year earlier. Read the rest at MarketingCharts. On the web, no one knows how to grow organic traffic in an effective, measurable way. However, launch a native application, and suddenly you start seeing a large number of organic visits. Organic traffic is often the most engaged traffic. Organic traffic has strong intent. On the web, they typed in your domain for a reason. They want you to give them something to do. They are open to suggestions. They care about your service enough to engage voluntarily. It’s not completely apples-to-apples, but from a metrics standpoint, the usage you get when someone taps your application icon behaves like organic traffic. Your site better be ready for mobile if you want to capture sales. You'd better have an app out there which will help your clients select your site over others'. Intel® XDK - Cross-platform development kit Use the power of HTML5 and Intel's cross-platform tools, to write your app's once and distribute broadly. With the Intel® XDK, developers really can “write it once, deploy to many.” Build for iOS Tablets, iOS Smartphones, Android Tablets, Android Smartphones, Google Play Store, Amazon App Store, Mozilla App Store, Facebook App Center, and the Google Chrome store. Meanwhile, Firefox has a simple plug-in so you can develop apps for it's Firefox OS. Firefox OS was publicly demonstrated in February 2012, on Android-compatible smartphones, and again in 2013 running on Raspberry Pi. In January 2013, at CES 2013, ZTE confirmed they would be shipping a smartphone with Firefox OS, and on July 2, 2013, Telefónica launched the first commercial Firefox OS based phone, ZTE Open, in Spain which was quickly followed by Geeksphone's Peak+. All of this makes for a very interesting world. How to's collected tips reviewed on Writing and Publishing Ebooks. 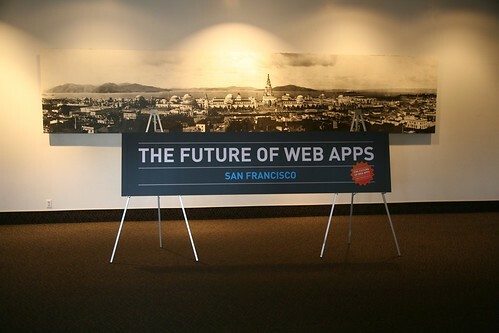 Web apps: the future of the internet, or an impossible dream?